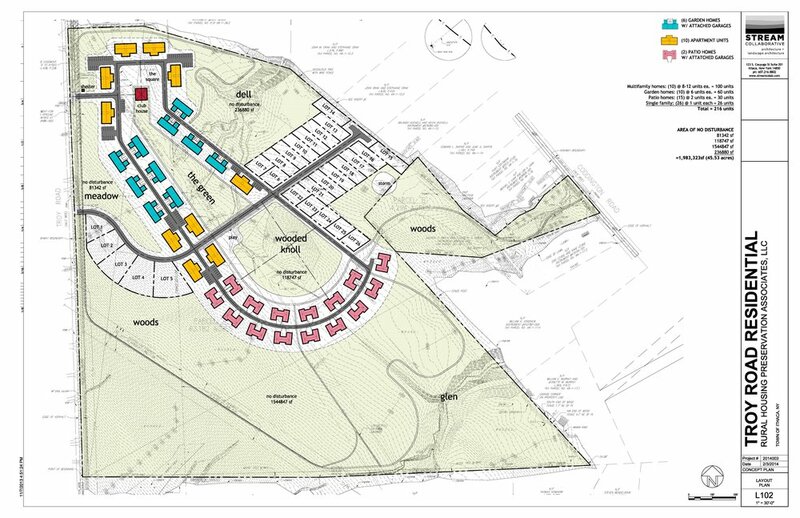 The Troy Road development proposed a new neighborhood within a 67-acre property in a semi-rural location outside of Ithaca. WPD worked on the Planned Development Zone proposal, public approval coordination, and the site analysis, master planning, and design. The new development sought to re-zone the site to allow for more flexibility to promote human-scale, clustered development in order to avoid sprawl. 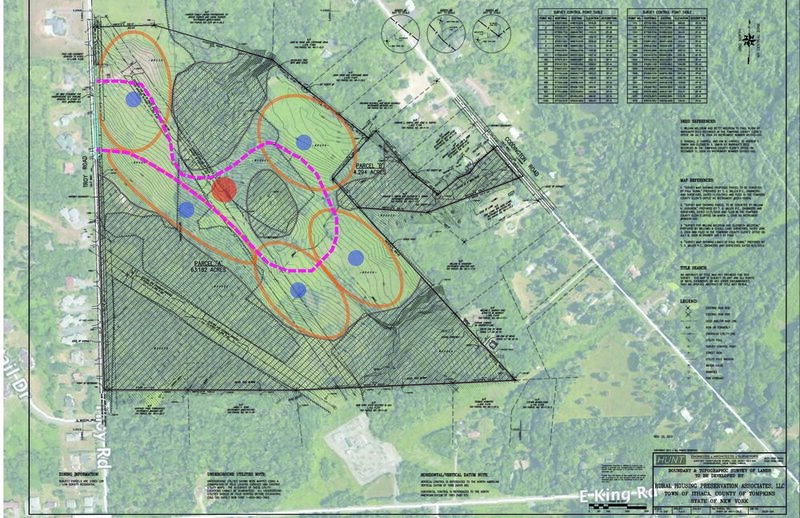 The proposal included a mix of housing types in a 21-acre development zone while conserving forested land on the remainder of the Site. WPD worked with Stream Collaborative on this project.